My opinion for what its worth, on films and Programmes old and new. 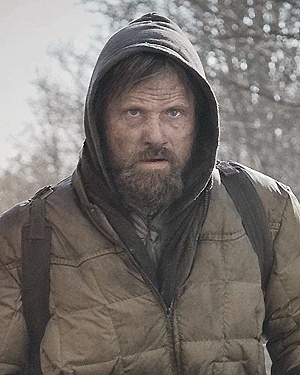 Cast: Viggo Mortensen, Kodi Smit-McPhee, Robert Duvall, Guy Pearce, Molly Parker, Michael Kenneth Williams, Garret Dillahunt, Charlize Theron, Bob Jennings, Agnes Herrmann, Buddy Sosthand, Kirk Brown, Jack Erdie, David August Lindauer, Gina Preciado. 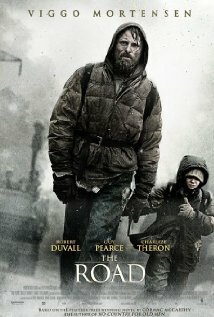 Plot: A father and his son walk alone through burnedAmerica. Nothing moves in the ravaged landscape save the ash on the wind and water. It is cold enough to crack stones, and, when the snow falls it is gray. The sky is dark. Their destination is the warmer south, although they don’t know what, if anything, awaits them there. They have nothing: just a pistol to defend themselves against the lawless cannibalistic bands that stalk the road, the clothes they are wearing, a rusting shopping cart of scavenged food–and each other. Review: This is a strange one, I have had this film for what seems and age and something else has always been more appealing to watch, Not a fast paced film an one that is not very personal, a post apocalyptic film. Apocalyptic event is unknown so could be anything Nuclear, Asteroid. It’s unclear. But what is clear is that there is nothing to eat and they are literally running for their lives, a few flash backs fill in the family blanks and why Father and son team are on their own and why they are heading south. The film is rather slow in places but there is always a sense of foreboding with the odd glimmer of hope here and there, I think the main aim of this film is to show the strength you can have in the face of adversity, how surviving when you have nothing is actually possible, the on screen relationship between Mortensen and Smith-McPhee was electrifying and believable and eventually heart breaking, not that you didn’t see it coming. 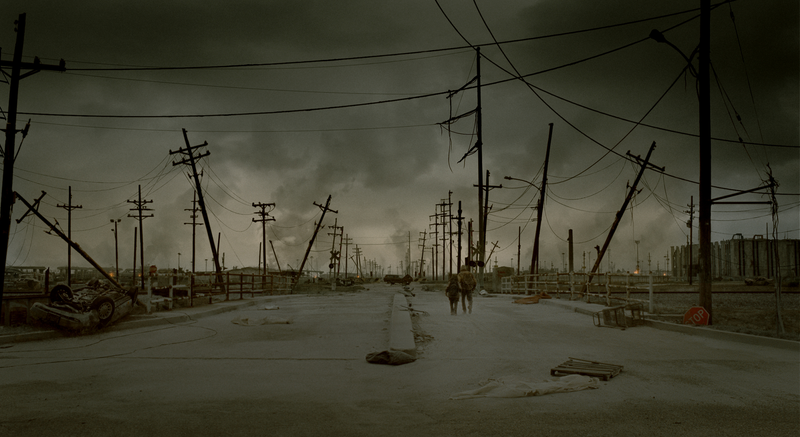 And second as the post apocalyptic film that it is Stark, bleak and unwelcoming in every way, a possible look at how things will be if we make the wrong move as a species. There were a few good cameo’s in the film Robert Duvall as the old man, wandering the wilderness a lonely weary yet worldly wise figure, a small part but defiantly memorable and Charlize Theron as the mother, happy at first and all the flash backs show a happy home life, then the desperation as she sinks more into depression and an inability to cope with the world around her changing, just thought provoking. So is this film worth a watch? Well yes and no it depends on what you want, a good story and an intense film about the relationship between father and son in a difficult and impossible situation then yes, a slasher, explosion heavy and lots of killing then no not for you.